Just over the Zambian border, near Chipata, we stopped outside ‘The Gunners Pub’ to pick up some water and met Michael Holmes, 11. 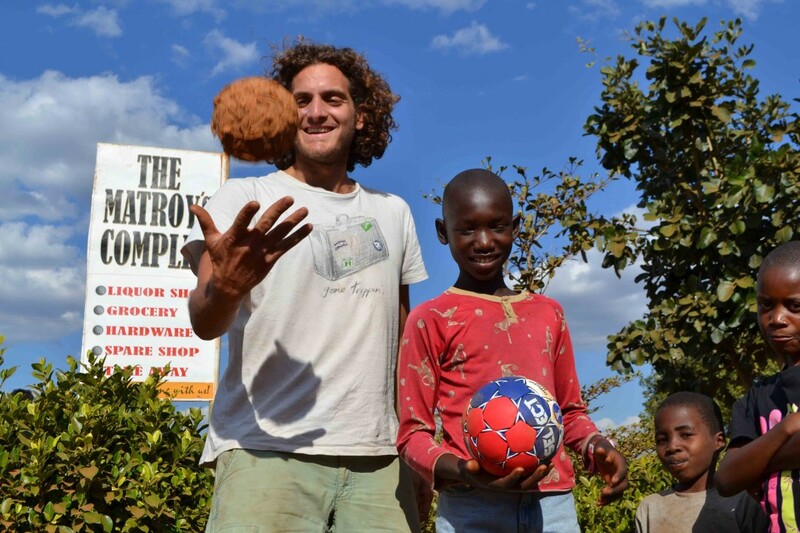 Michael was playing with his friends with a ball he had made from melted plastic and scraps of plastic bag, nicely coloured by the accumulation of red dust…He was happy to exchange his creation for a ball donated to Africa Goal by Select Denmark. As Michael and co. began another kickabout with their new Select ball, we wondered if one day a certain Mr. Wenger might one day pay a visit to ‘The Gunners Pub’ to scout for a new playmaker while enjoying a cold Mosi.